Bright Round Wire Nails. 1kg Pack .. Bright Round Wire Nails 50mm. 2.5kg Pack .. Bright Round Wire Nails 50mm. 25kg Pack .. Bright Round Wire Nails 65mm. 1kg Pack .. Bright Round Wire Nails 65mm. 2.5kg Pack .. 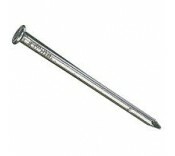 Bright round wire nails 25kg Pack .. Bright Round Wire Nails 75mm. 1kg Pack .. Bright Round Wire Nails 75mm. 2.5kg Pack .. Bright Round Wire Nails 75mm. 25kg Pack .. Bright Round Wire Nails 100mm. 1kg Pack.. Bright Round Wire Nails 100mm. 2.5kg Pack .. Bright Round Wire Nails 100mm. 25kg Pack .. Bright Round Wire Nails 150mm. 1kg Pack .. Bright Round Wire Nails 150mm. 2.5kg Pack .. Bright Round Wire Nails 150mm. 25kg Pack ..